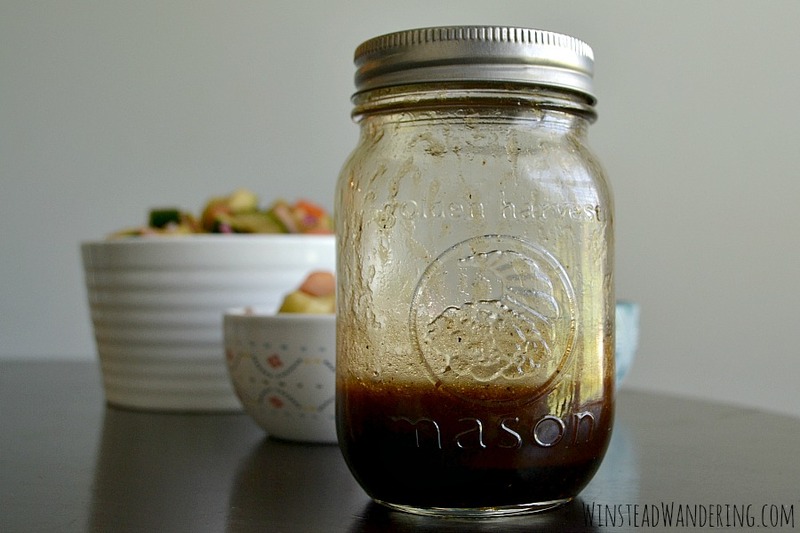 Homemade Balsamic Vinaigrette is super easy to make, it’s cheaper than store-bought, and it can be used as a salad dressing, a marinade, a dip, and more! 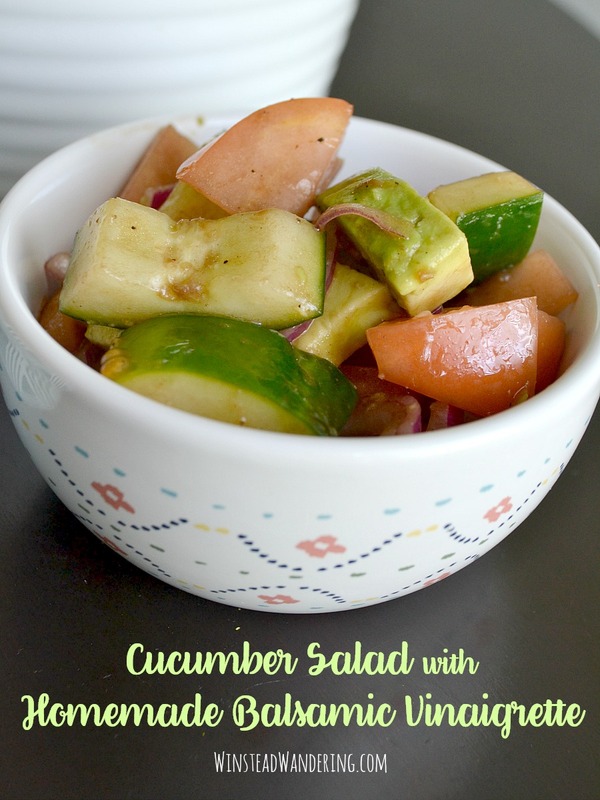 A while back I shared my recipe for Cucumber Salad with Homemade Balsamic Vinaigrette, but the recipe is just too good to not share in its own post. This dressing has always been one of my favorites– tied with ranch — and it’s so much tastier when made at home. 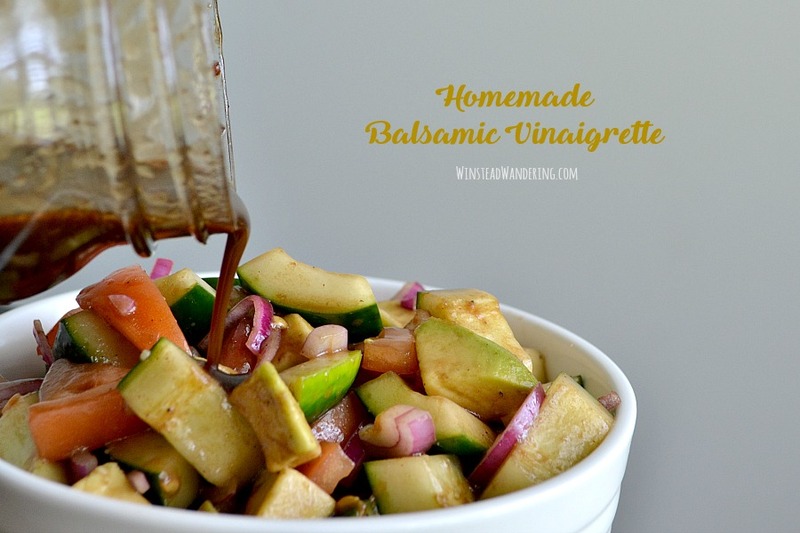 With only six ingredients, Homemade Balsamic Vinaigrette is super easy to make. The best part? It can be so much more than a salad dressing. 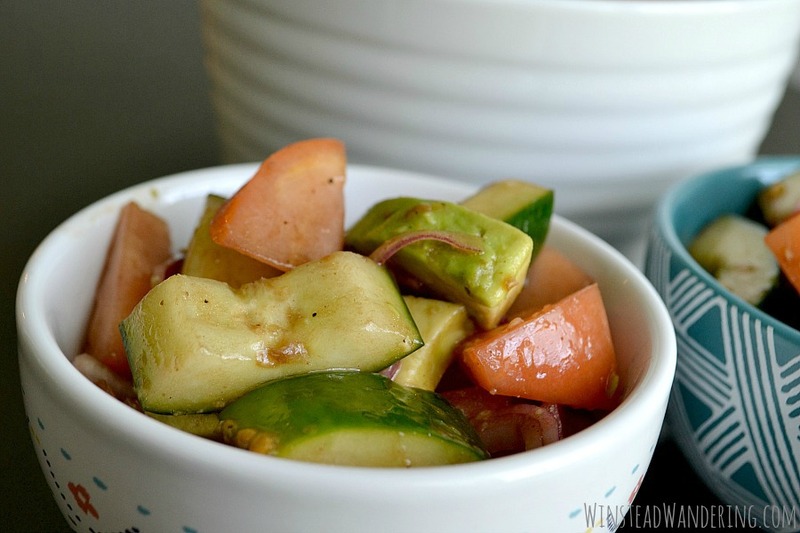 It makes a great marinade for chicken and veggies, plus it’s perfect as a dip. The recipe possibilities are endless and the flavor is unbelievable. 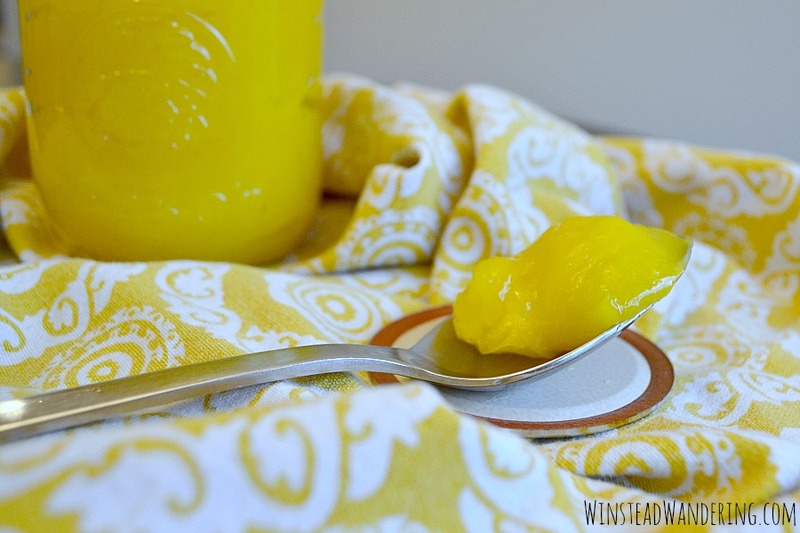 You won’t regret taking a little extra time to make your own Homemade Lemon Curd. My mom has been making her own homemade lemon curd for as long as I can remember. She makes these to-die-for shortbread cookies – I’ll share the recipe one day – and stuffs some with chocolate ganache and some with lemon curd. 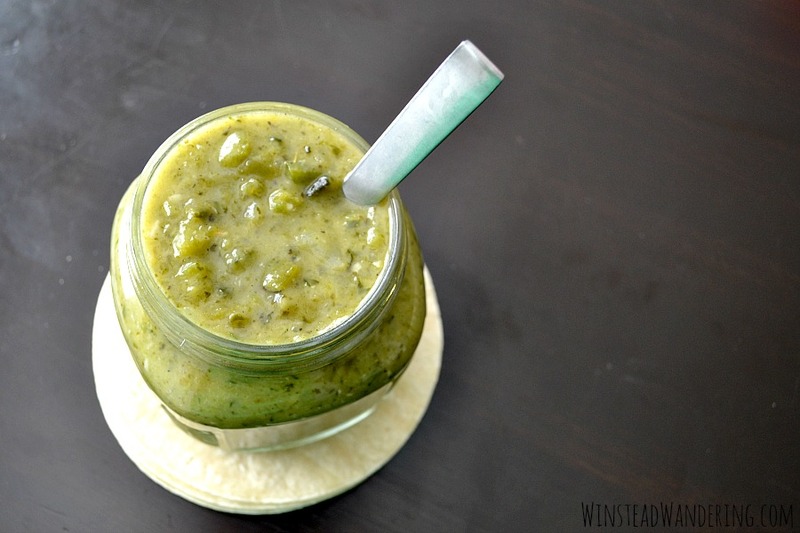 She uses it in other recipes, too, and of course it’s amazing straight from the spoon. I’ve used my homemade lemon curd to make Baked Lemon Hand Pies and Lemon Meringue Pie Bites. I’ve also got about a dozen more ideas brewing that I’ll hopefully get to share sometime soon. 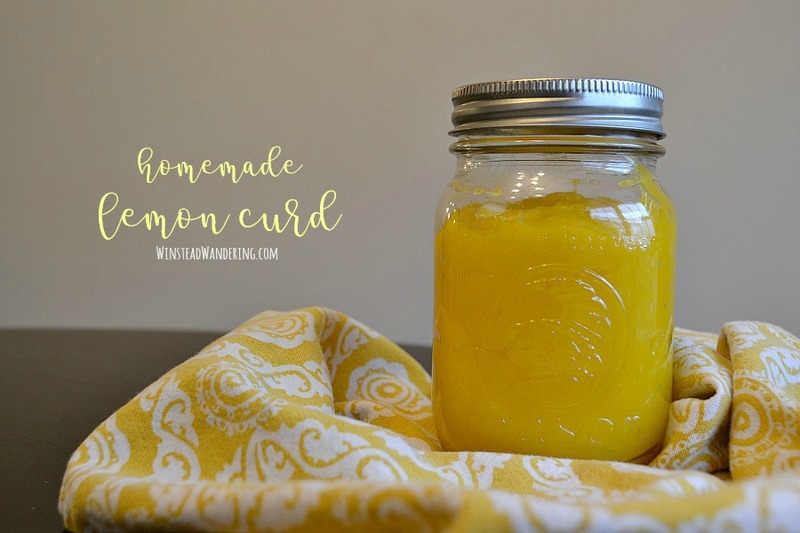 What would you make with homemade lemon curd? Forget the bland kind that come in a tube; these Homemade Bacon Cheddar Chive Biscuits are flaky, buttery, and everything homemade biscuits should be. 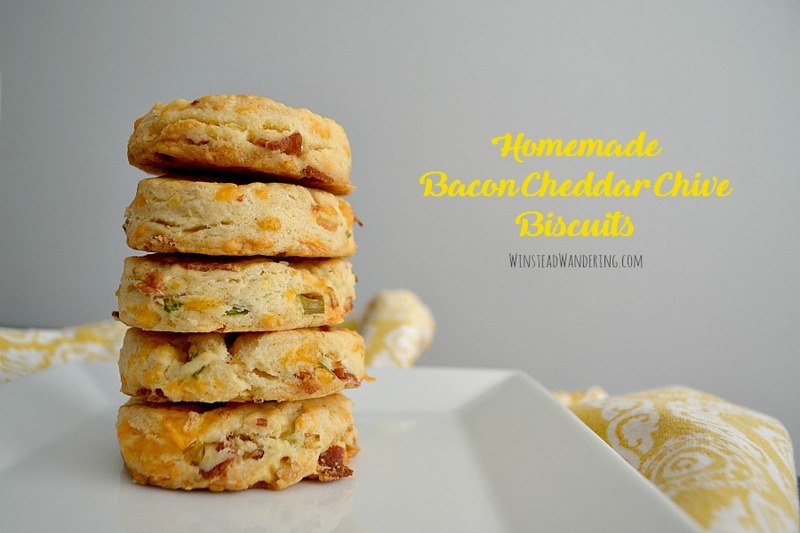 One of the first recipes I ever made was these Homemade Bacon Cheddar Chive Biscuits. I was 21 and J and I were newly married, living in a tiny apartment in Jackson. This was before the days of Pinterest, so much of what I made came from Google or from actual cookbooks. I remember first making these biscuits in our little kitchen, with its one narrow drawer and its burners that refused to heat evenly. I was so new to cooking and baking then; every recipe was precisely followed because I wasn’t confident enough to make even the smallest changes. Over the years, though, I’ve adapted this recipe, adding the chives and tweaking the process. 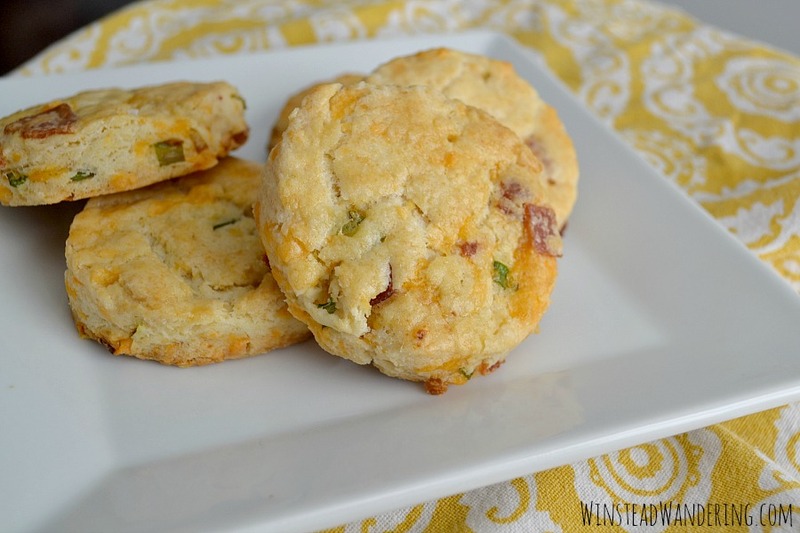 The result, these Homemade Bacon Cheddar Chive Biscuits, are just as satisfying to make now as they were all those years ago. 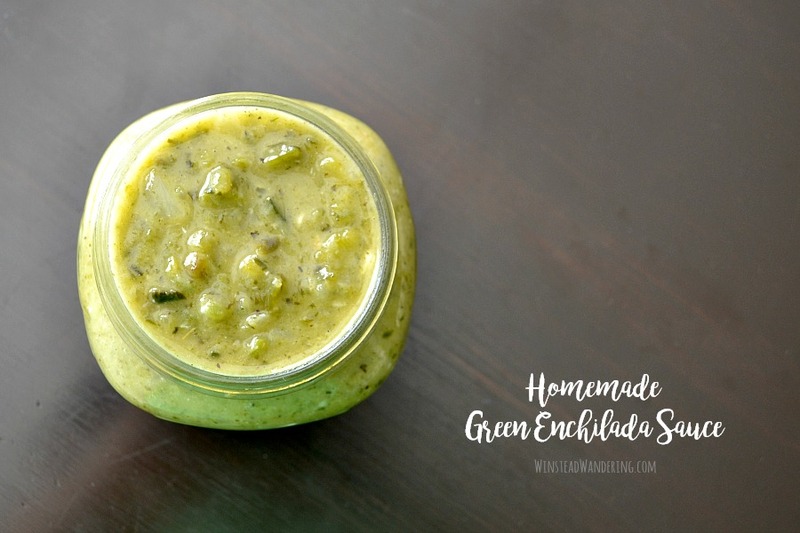 Making homemade green enchilada sauce is easier than you think, and it’s the perfect way to turn up the volume on your favorite enchiladas recipe. I’ve never been a fan of enchiladas made with red sauce. I do like them better when I use homemade sauce, but I much prefer enchiladas made with a lighter, green sauce. Plus, I’ll basically eat anything with roasted peppers, so there’s that. Roasting fresh peppers gives them a depth of flavor that you just can’t find in a canned sauce. By combining the peppers with garlic and onions, you get a result that, in addition to being the perfect Homemade Green Enchilada Sauce, can be used as a salsa or a marinade. 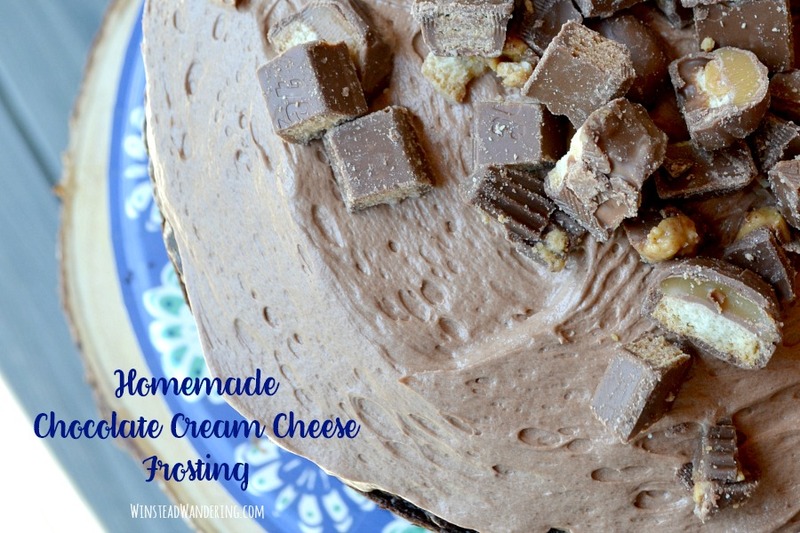 Homemade Chocolate Cream Cheese Frosting is quicker and easier to make than you think, and it is oh so worth the effort. You’ll never go back! I’ve posted a lot of homemade frosting recipes because I’ve shared a lot of cake and cupcake recipes and I never use store bought frosting. I know, I know, that sounds snobby, but it’s true; homemade frosting is just too easy and too dessert-altering to settle for anything less. It occurred to me a while back, though, that I never shared my recipe for Homemade Chocolate Cream Cheese Frosting. 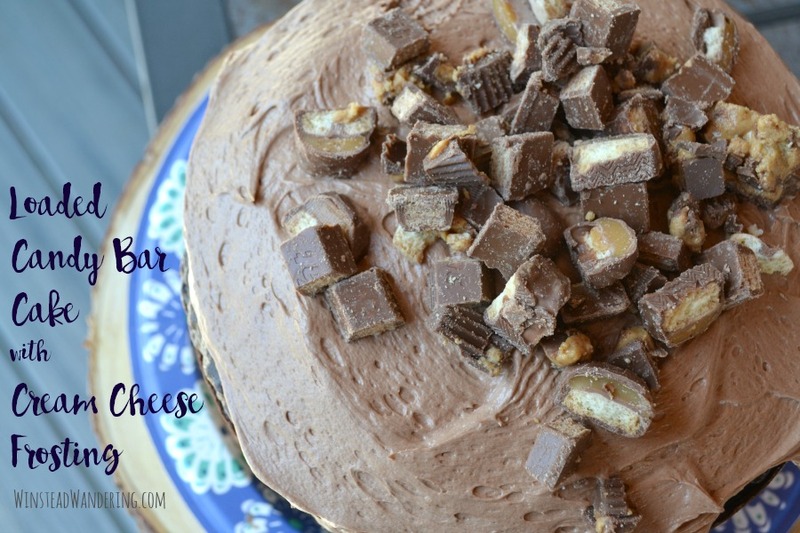 It’s a recipe I’ve made again and again to go with things like Double Chocolate Brownies and Loaded Candy Bar Cake, but I never got around to sharing just the frosting here. Today I’m changing that. If you’ve never made homemade frosting because you always figured it was too difficult, or because you think the pre-made stuff in the jar is just as good, I’m begging you to make this recipe. It’s fluffy and rich, smooth and decadent, everything a homemade frosting needs to be. 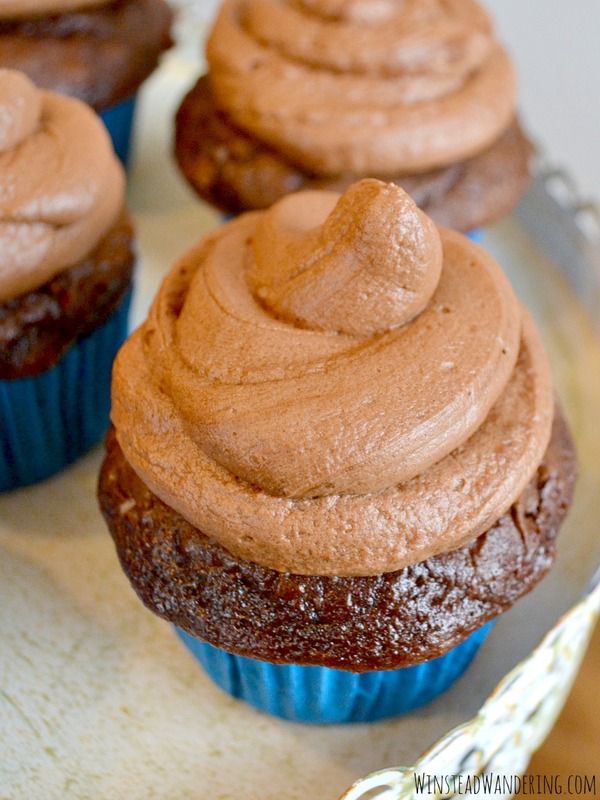 And if you aren’t into cream cheese frosting (make this anyway; it just might change your mind), you need my Homemade Chocolate Buttercream recipe. Loaded Candy Bar Cake with Cream Cheese Frosting, with homemade frosting and candy bars in every bite, is every chocolate lover’s decadent dream come true. This Loaded Candy Bar Cake with Cream Cheese Frosting was my birthday cake pretty much every year when I was growing up. In fact, I love it so much it was my wedding cake, too. My mom was appalled by my choice because, in her words, “It’s such an ugly cake,” but to me, and to all chocolate-lovers out there, it’s a beautiful sight. Since then, this gorgeous cake has become a staple at many family gatherings. It’s even become a tradition in J’s family. As true lovers of all things chocolate, they recognize a good thing when they see it. His family prefers to use only peanut butter cups, but I’m convinced the original method is best. 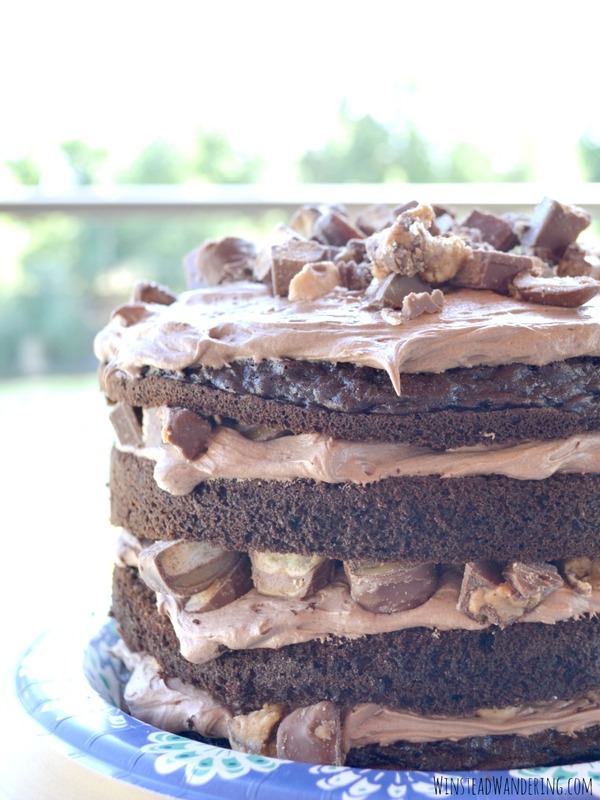 Really, though, you can’t go wrong when you take a moist chocolate cake, slather it with homemade cream cheese frosting, and finish it off with handfuls of chopped candy bars. You’ll never want the restaurant version again after trying these Homemade Chicken Strips with Horseradish Dipping Sauce. They’re tender, flavorful, and a guaranteed hit. 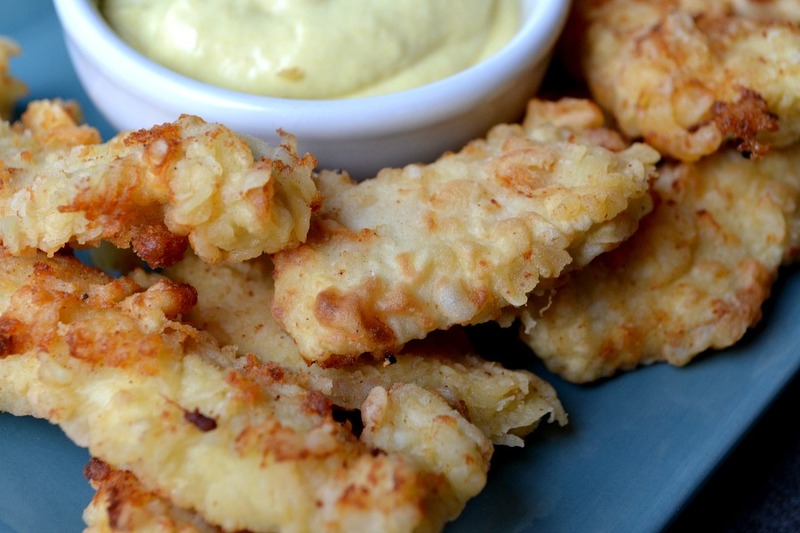 These Homemade Chicken Strips with Horseradish Dipping Sauce are something of a legend in my family. They’re the birthday meal of choice for nearly all of my siblings and, now, for our spouses and our kids, too. My mom typically serves them alongside home fries and loaded candy bar cake, but it’s perfectly acceptable to fill up on on chicken. In addition to being tender and perfectly seasoned, these little nuggets of magic are so special to me because they’re representative of home. 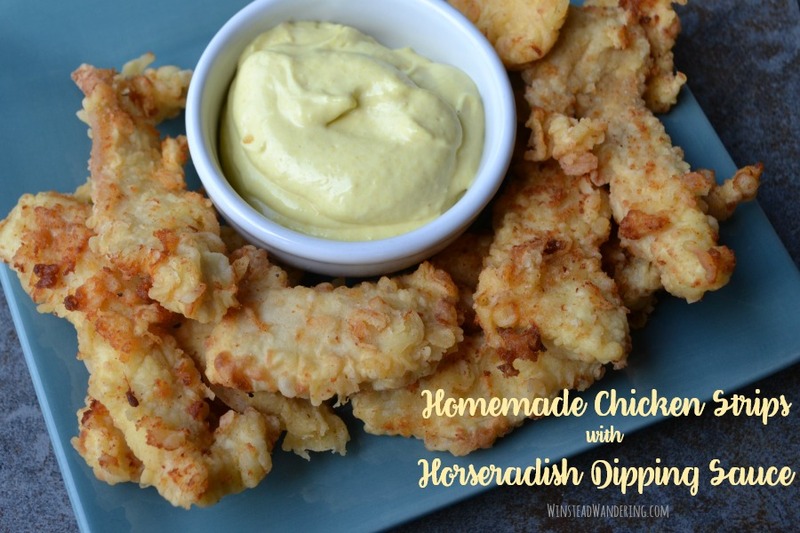 They’re my family’s version of the fatted calf and, let me tell you, know one at your house will be asking, “Where’s the beef?” when these Homemade Chicken Strips with Horseradish Dipping Sauce are on the menu. 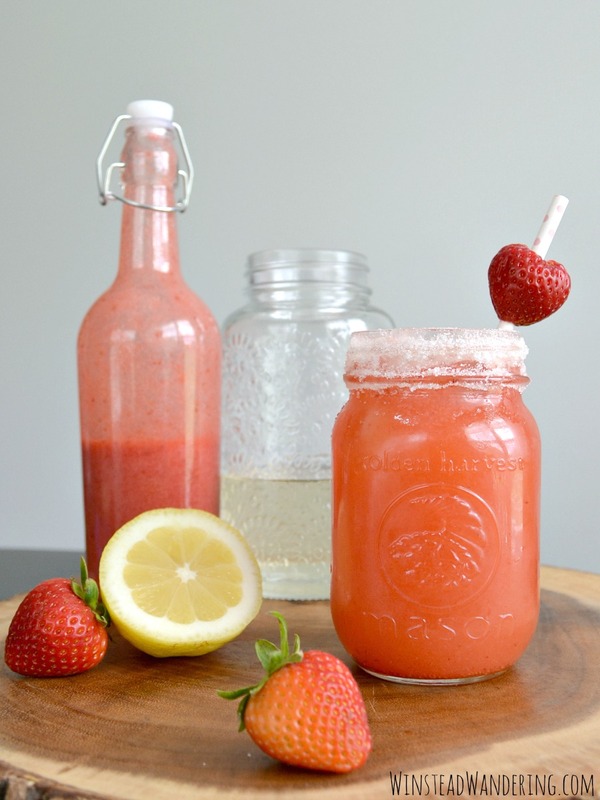 With from-scratch strawberry sauce, homemade lemonade, and the liquor of your choice, Spiked Strawberry Lemonade is the perfect drink to cool down with this summer. I don’t drink much alcohol. As I often tell people, I’ve spent much of my nine legal drinking years pregnant, broke, or both. Neither condition is conducive to cocktails, so I haven’t done the recipe experimentation a lot of my foodie friends have. I got to dabble in cocktail creation during our recent trip to Oregon. I still had some ideas floating around when we returned home, but instead of my mom’s stocked liquor cabinet, I had one lonely half-bottle of below average vodka in the freezer from that one time I made homemade vanilla extract. 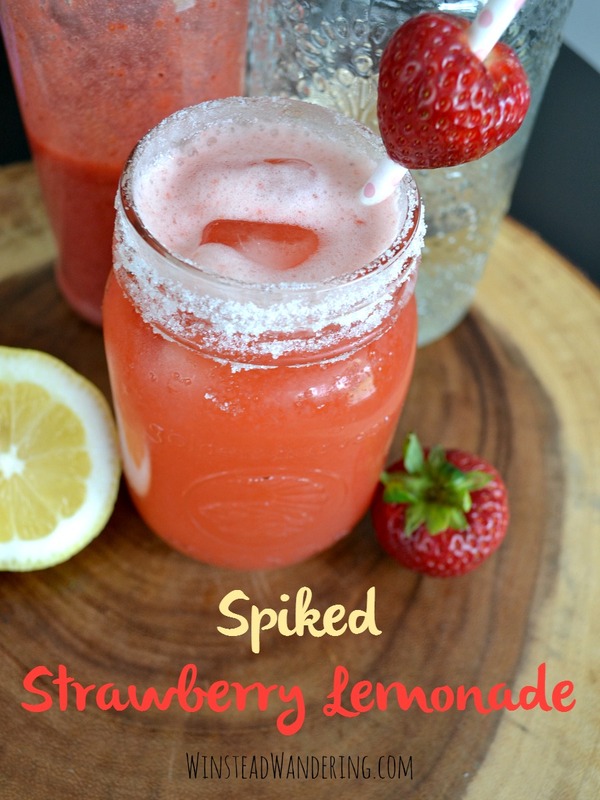 There was also a carton of gorgeous strawberries in the refrigerator, so this Spiked Strawberry Lemonade was born. A healthy two ingredient snack that tastes like a sinful dessert? Yup! 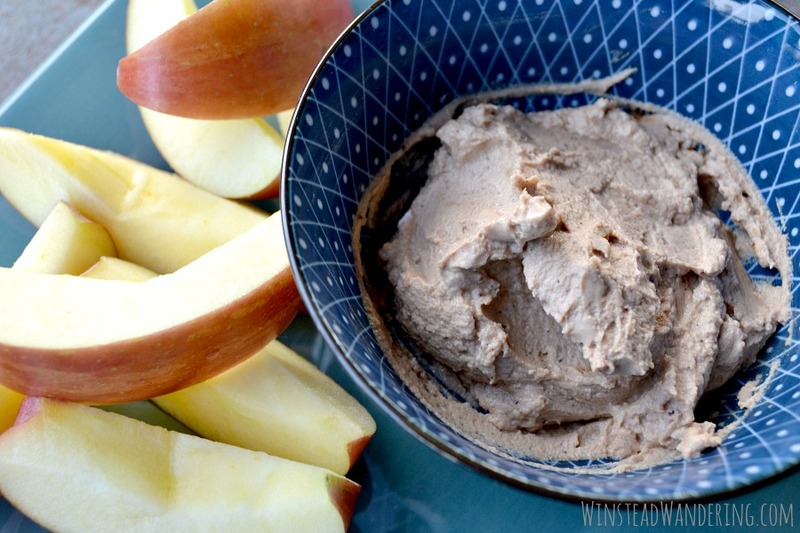 This Chocolate Peanut Butter Cheesecake Protein Dip is as good for you as it is delicious. 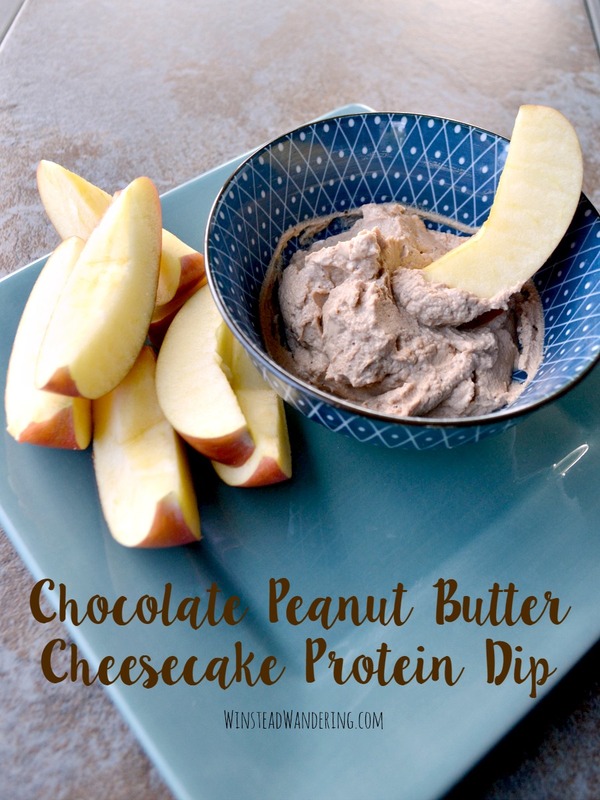 You can file this one under “recipes I should have posted years ago.” I first made this chocolate peanut butter cheesecake protein dip as a snack for my husband. He’s a picky eater, but he loves Greek yogurt, peanut butter, and apples. He’d often eat a serving of yogurt, as well as a sliced apple dipped in powdered peanut butter (mixed with water per serving instructions). One day it hit me that I could mix the powdered peanut butter with the yogurt and it’d probably taste pretty similar to cheesecake (another food J loves). I was right. This stuff isn’t good for a healthy dip; it’s just good. One serving contains nine grams of protein and, depending on the brand of powdered peanut butter you buy, it’s gluten free, too. 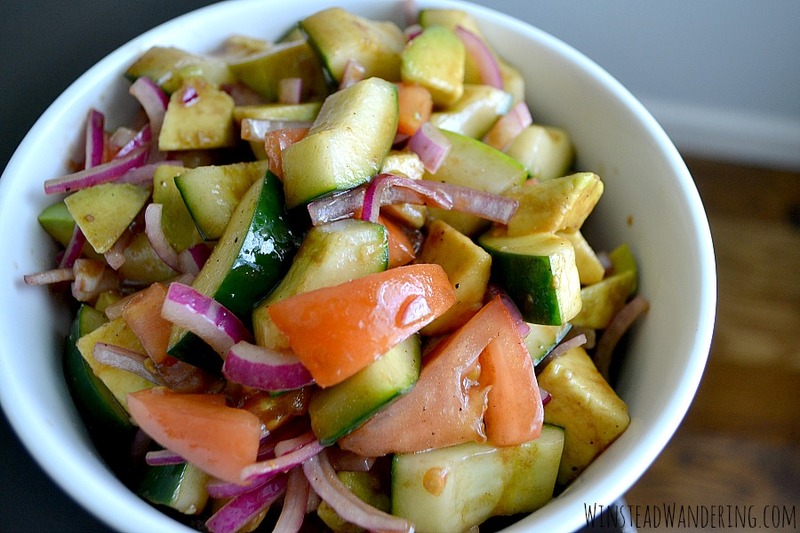 In addition, the recipe is low in carbs and calories and contains plenty of healthy fat. Unsure what powdered peanut butter is? It’s exactly what it sounds like: peanuts are made into powder instead of fat-laden butter. Most peanut powders contain around 85 percent less fat than their butter counterparts. They also have healthy fiber and protein.